Table of Contents Next: Haig, Arthur B.
Dimensions 240' by 39' by 17'9"
There are indications that the 5" guns were replaced with 4 20mm Oerlikon AA guns and ASW armament of 4 depth charge throwers and 2 Mousetraps. 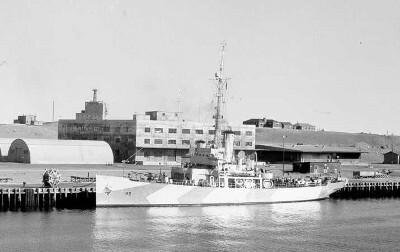 The Haidas (also known as the Tampas) were Coast Guard gunboat cutters completed in 1921-1922. Designed for peacetime use in law enforcement and search and rescue, tthey were used as picket boats in secondary theaters, including Alaska.